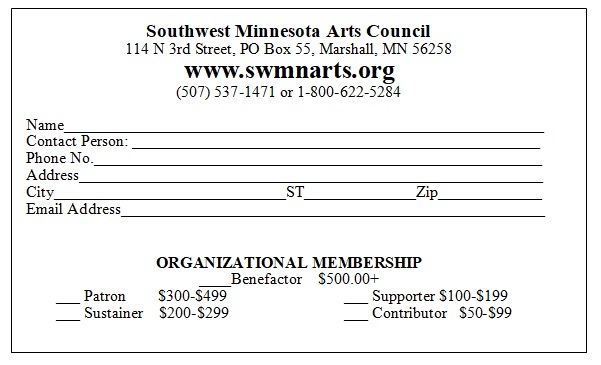 Home > News & Events > News > Become a contributing member of SMAC! 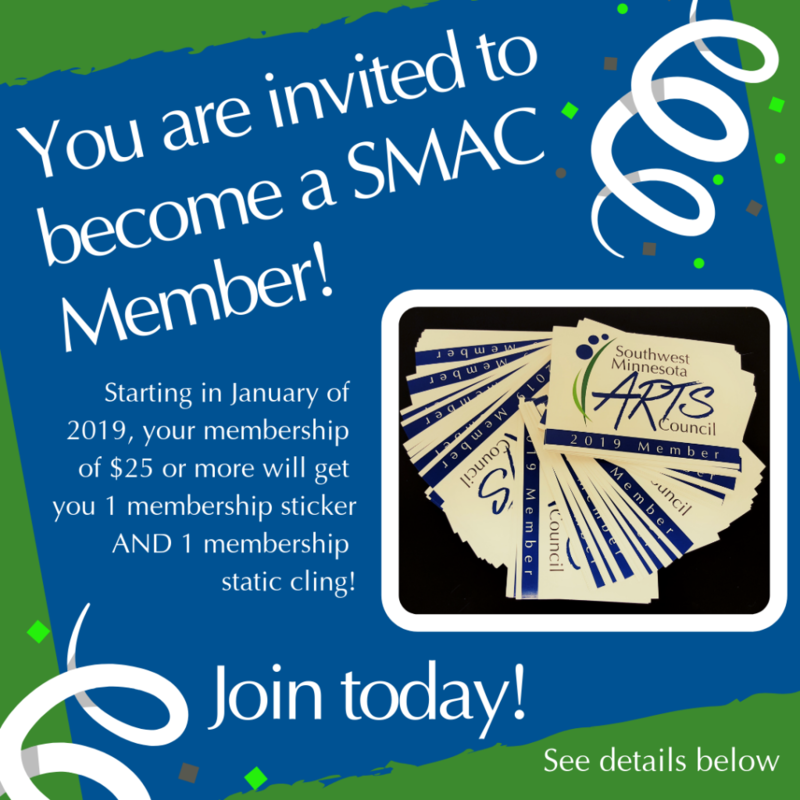 Become a contributing member of SMAC! For yourself, your organization, or your business! 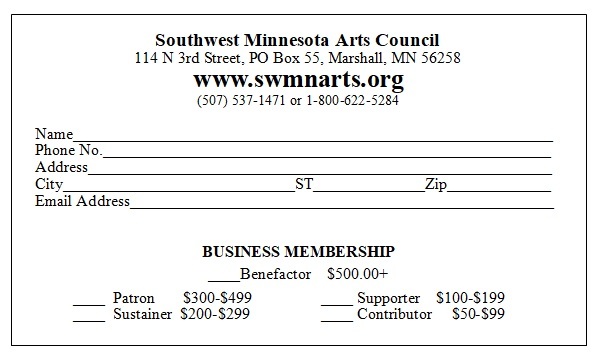 Thank you for supporting the arts in the southwest Minnesota region! Click the icons to follow SMAC!